The time has come and you’ve decided to sell your used van. For many people, conducting a sale privately usually means you can get a much better price compared to trading it in. The trouble is where do you start? What do you need to do? We as van insurance specialists appreciate that selling your van can be a daunting task. To help you get the best possible price we’ve put together this guide. Firstly you need to know what your van is worth. This is particularly important for when it comes to negotiating with potential buyers. Doing a little bit of research is really important and will ensure you don’t overprice or undervalue it. You can find out as a general guide what your van is worth here. Spend a morning or afternoon giving your vans interior and exterior a thorough cleaning. Begin inside by dusting all the surfaces and give the seats and floor a good hoovering. Remove any personalised items like stickers and objects that you may want to keep like for example an air compressor. Wash the exterior with a good quality vehicle shampoo, hose down any excess soap and use a chamois leather to clean and dry the bodywork. You could also go the extra mile and wax your vans exterior to give it a long lasting shine. Remember, a clean and shiny van will give the best first impression to potential buyers. Grab a notepad and spend some time looking at the interior and exterior of your van. Take notes of the best features. This could include a low mileage or good bodywork. Now take a look at what could give potential buyers doubts about wanting to purchase your van. This could include any tyre treads close to the legal limit or if the MOT is due soon. Also, mention the service history and any maintenance you’ve paid out for like for example a new battery. With your van squeaky clean it’s now time to take high quality photos of the front three quarters of the van, along with shots of the front, side, rear and interior. Try to take the shots when the sun is low in the sky to reduce shadows in the photos. Providing a detailed description and excellent photos can help potential buyers make an informed decision as to whether they want to view your van in person. It’ll also reduce the chances of your time being wasted. You’ve got your accurate description and photos. Now it’s time to get your advert online. If you’re on Facebook and Twitter begin by adding posts on there and kindly ask your contacts to share the post. Gumtree is also an excellent website that you can register and advertise your van for free too. Then there’s the classic window advert. Create a for sale sign including the vans make and model, mileage, asking price and your contact details. Stick the advert on the inside of the back windscreen. Passers-by may only get a few seconds to read your advert so it’s important to keep the detail short. Expect potential buyers to try and negotiate a lower price. Have in mind what the lowest price you’re prepared to accept and don’t go below this figure. If you successfully agree the sale, you could accept payment by cash. But if your van is worth a lot of money, you’d be better going to the bank together and conducting a transfer there. Once payment has cleared in your account, you’re then safe to hand over the keys. If you’re struggling to sell your van privately and don’t wish to do a vehicle exchange, there’s other things you could do. Start by phoning up some local vehicle traders and ask if they would be interested in potentially buying your van from you. If they are, you could take your van along and find out what they are prepared to offer. Remember, you don’t have to accept their offer. 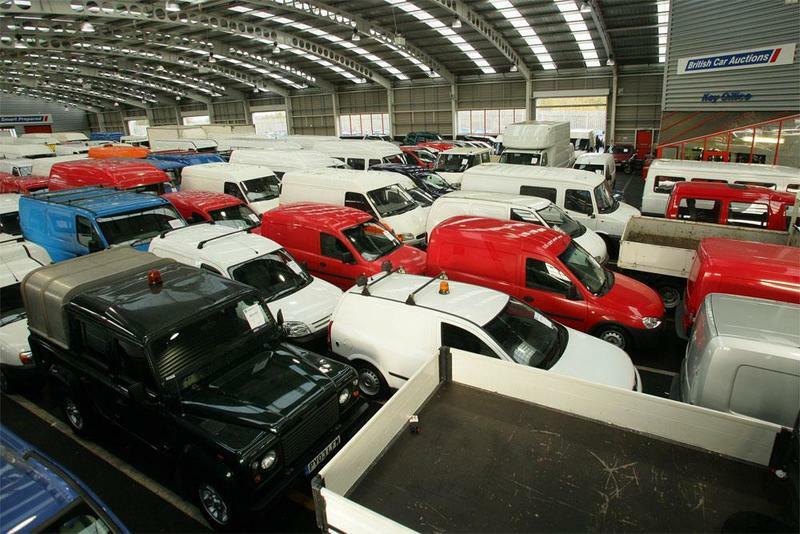 Alternatively you could put your van in an auction with a reserve price. So if your valuation isn’t met, the van won’t be sold. Whilst this mightn’t get you the greatest return, it can be a very effective way of getting a quick sale. Once you’ve successfully sold your van, you must tell the DVLA and your insurer immediately. You can do this by phone or online. Don’t forget to chase up any refund you’re due on the remaining road tax. Have you successfully sold a used van? Share your story on our Facebook and Twitter pages.